In their second year of business, Turbo Surf Designs introduced their SE series. 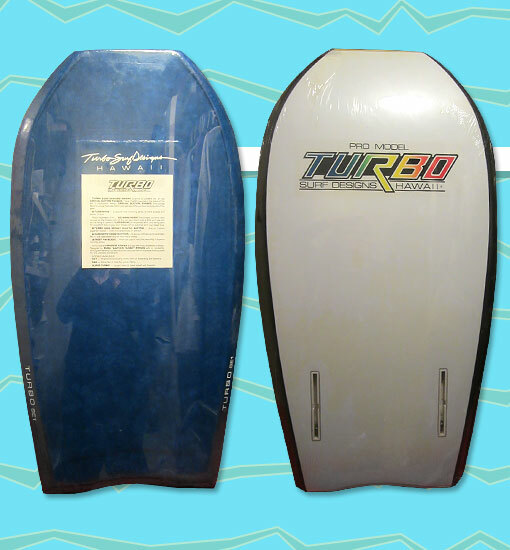 The Special Edition series came standard with a Turboskin (vinyl) deck, a Turbo high impact plastic bottom, sandwich construction for superior stiffness, and inset fin boxes. The SE1 was an "all around bodyboard, extra stiff for kneeriding and standup". Turbo was offering solid color vinyl decks in 1984 and would introduce their their trademark graphics a year later. This particular board is in mint condition and still in its original packaging!